multi span gable metal buildings. 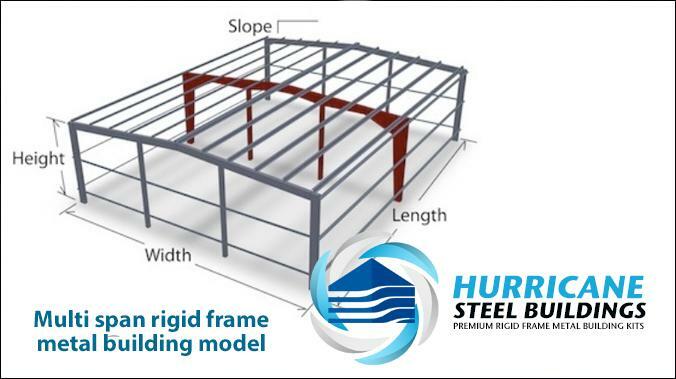 Hurricane Steel Buildings® multi span metal buildings offer greater support to any building but are not necessary for buildings under 80 feet. For metal buildings that exceeds 80 - 90 feet, the multi span gable metal building kit is necessary to provide the structural support needed in extremely wide buildings. The multi span gable symmetrical metal building kit is a top seller for those who need a very large facility. The interior support beams can be engineered to be placed unevenly to create a custom interior work space. The cost is a bit more than the other 4 models because it requires more components including interior support beams but offers the best strength and stability you your building can use. The symmetrical building design is a double slope or single building and the ridge can be anywhere along the roof line. Single slope metal buildings rigid frames slope downward to the shorter end of the building. The single slope multi span frame is often used for industrial or commercial facilities, and where drainage is a challenge. It also makes it easier to attach new sections onto the building. It is also provides a large face to adapt any way you like for a unique architectural design. This metal building features a gabled roof that comes in a wide variety of pitches and eave heights. The framing uses more steel and components, has a mandatory number of interior posts and is designed for buildings that require extra wide dimensions. 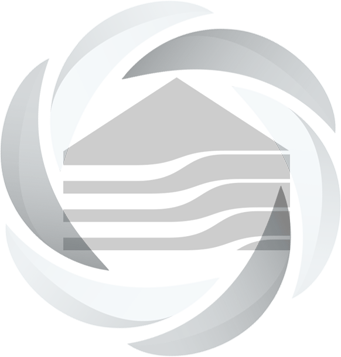 Most commonly these buildings are used for industrial companies and commercial businesses. Size Dimensions: Available from 60’ - 600’ depending on gable. This multi clear span building made with with AZ Galvalume® Steel made with a steel alloy containing aluminum and zinc to provide the best durability and sustainability which is 700% more rust resistant than galvanized steel. Custom build your multi span metal building using our online metal building price calculator and get instant prices according to your specifications. You can call us toll free at 833-834-8400 to further customize your clear span building with various features and accessories and receive our low price guarantee, clearance prices factory direct.